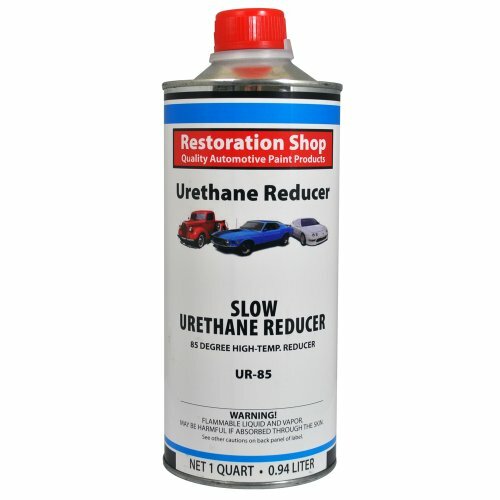 Restoration Shop Slow Urethane Reducer UR85 is a high temperature, above 85 degrees, paint thinner/reducer. This premium quality reducer is designed to be used with Restoration Shop's Acrylic Enamel, Acrylic Urethane, and Urethane Basecoat Auto Paints. This reducer may also be used to cut viscosity in any of Restoration Shop's urethane primers, epoxy primers and urethane clearcoats. This listing is for 1 QUART of SLOW Urethane Paint Reducer ONLY. If you have any questions about this product by Restoration Shop, contact us by completing and submitting the form below. If you are looking for a specif part number, please include it with your message.